Through a simplified user interface, myCority makes it easy for employees to complete safety and occupational health tasks (such as the submission of incident reports and the completion of questionnaires), schedule appointments, and keep track of their medical data. Portal provides additional employees with straightforward access to the Cority system—improving data quality, reporting, and occupational health and safety across the organization. 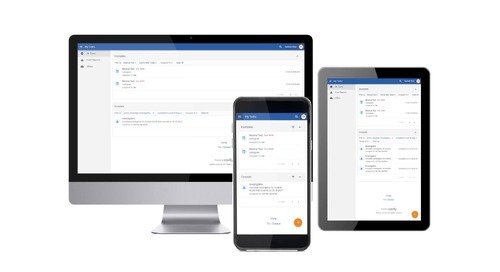 Through a simplified user interface, myCority makes it easier for employees to complete safety and occupational health activities, like submitting incident reports. Learn more.